Join the party - We're celebrating our book launch by giving you strategies for dreaming with discipline. Fezywig family, your enthusiasm for our new book is unfathomably appreciated. You’ve pre-ordered, introduced us to your friends, and tagged us on social media. You’ve read Advanced Reader Copies and your enthusiastic response continues to humble us. Thank you for sharing this journey. Between writing, pitching, and marketing, Erik and I have been working to bring the stories in Seven at Sea to you for two years. I’m not sure which was harder, living on a sailboat as a family or co-writing the book about it. What I love about Seven at Sea is that, in being honest about our journey, we give you a peek into the details of dreaming with discipline as a family. We show you our fears, our failures, and how our incremental successes build into living the dream. We reveal the reality of dreamer’s remorse—when you get what you want and it’s not as smooth or fun as you hoped it would be. 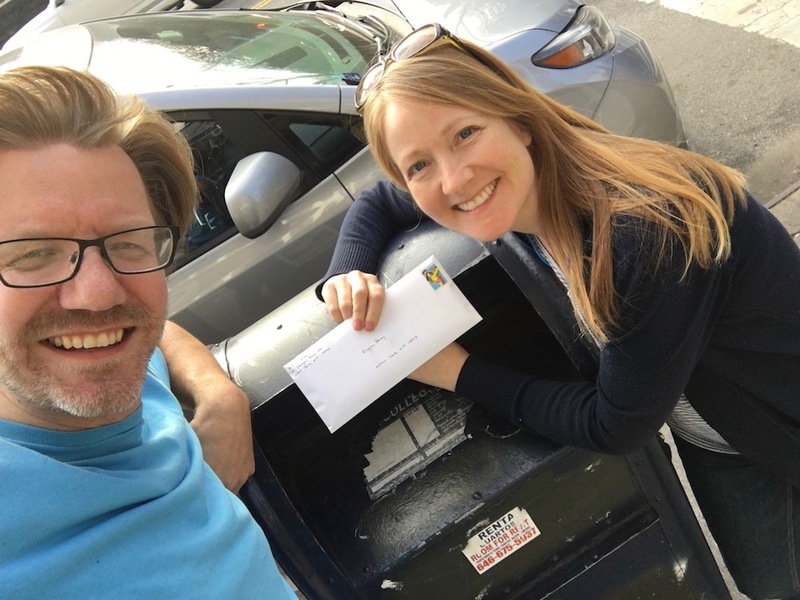 Our story is generally light-hearted as we are grateful optimists, but also explores our struggles with finances, parenting, and being together constantly as a couple—oh yeah—and storms, busted engines, and steep learning curves. You’ll see us belly flop again and again. You’ll see us figuring it out as we go along trying to keep our family (and our boat) floating. In the end, as is the case with most adventures, it wasn’t as easy as we expected but it was more satisfying and impactful than we ever could have imagined. It was worth it. We want to share our family’s story with you. Seven at Sea launches on March 5, 2019. We’re celebrating by offering you Seven Weeks to Seven at Sea—a countdown series of Saturday blog posts outlining seven steps we use to navigate the ups and downs of dreaming with discipline. Post one drops Saturday, January 19th. Subscribe now and those will effortlessly appear in your inbox every weekend. Here’s something fun: Starting January 22, we’re hosting seven Tuesday Facebook Live broadcasts where we’ll discuss the Saturday post. We’ll share some of our process for achieving our dream to live on a sailboat as well as behind the scenes for our dream to write a book about it. But the real goal is to give you ideas about how to achieve your own dreams, questions to ask, strategies for overcoming fears, and hopefully the inspiration to go for it. Follow Fezywig on Facebook to join the conversation. Next Saturday the seven week celebration starts right here with Step 1 - Choose Your Own Island. This is the perfect time to subscribe and share with a friend. Please join our new Facebook Group: Seven at Sea Launch Crew. In a few weeks, it will become a closed group. If you’re excited about the book and willing to share it with your friends, we’d love to have you on our Launch Crew. If someone you know would enjoy this post, please consider sharing.